Case Study: Will the gluten-free trend go the way of low carb? It’s been almost a decade since gluten-free products were introduced into the mainstream, and now many food companies are still trying to make sense of where the trend is currently and what it means for tomorrow. Will gluten free go the way of low carb? The market for gluten-free products and menu options appears to continue to burgeon unabated. What we do know is that consumers are determined to control their own health and wellness, and the general trend is toward a higher-quality, more enjoyable life. For progressive wellness consumers, the avoidance of gluten hits at the root of all wellness: digestion is the epicenter of a wellness lifestyle. 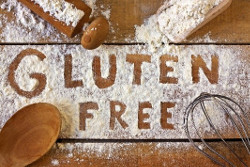 While gluten-free products seemingly have hit their stride in the mainstream marketplace, the gluten-free trend remains equally confusing to the food industry and mystifying to consumers as they continue to figure out how to navigate the labyrinth of facts and fiction. The key for food industry stakeholders is to be able to separate trend from fad at the moment it is changing in order to be able to develop innovative products that meet the quality criteria (e.g., taste, appearance, perceived benefits) that consumers seek within the constantly changing world of health and wellness. The proliferation of “gluten free” claims across the product universe leads one to believe that this attribute is essential for brand growth. We hypothesize that there’s something deeper at play. It could be the case that it’s something the consumer is inferring about these products that is driving growth. For instance, “digestive health” or “inherent functionality” might be the real product attributes that are behind consumers’ decisions to buy. Not all attributes, obvious or implied, are equally important in all categories, so a category-specific lens is critical for accurate trends analysis. Innovation that takes consumer need spaces and cultural context into account allows one to go to market with greater confidence. Trend iD isolates the explicit and implicit product attributes that correlate with category sales volume growth and also identifies which attributes bundle together in specific consumer benefit spaces to inform innovation, portfolio strategy and M&A activities. Whether you want to validate your existing pipeline or need data-driven inspiration, Trend iD is the answer.